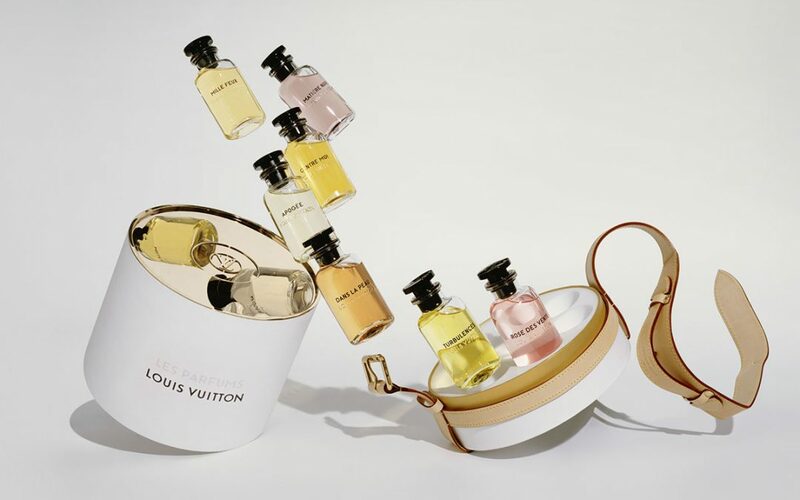 Perfumes in the Vuitton spirit, the perfect alchemy between leather and flowers. Seven eaux de parfums to accompany your travels, this is the fruit of a cooperation born in 2012 between Louis Vuitton and the master perfumer Jacques Cavallier-Belletrud. This flower-lover has harvested unique scents from the four corners of the world; the Rosa centifolia or tuberose, called the most narcotic of flowers, infusion of leather—imagine the subtle scent of a silky soft smooth-grained leather, or yet the Chinese magnolia associated with Jasmine from Grasse. And many more spellbinding unions, composed with the special care of the House, is filling the air of Louis Vitton’s first perfume corner. The process of extracting the flowers, exclusive to the brand, reveals unique scents where the fragrances tell an olfactory epic and sends special messages: Rose des Vents, Turbulences, Apogée, Dans la peau, Contre moi, Matière noire and Mille feux… The must: spoil yourself with three of their tailor-made fragrances in a leather vanity case, in Monogram canvas, resembling a Vuitton trunk. Luxury obliges! Welcome to the enchanted world of Louis Vuitton.